Imagine standing on top of a majestic cliff rising 60 metres above the water, facing the wild sea hitting on the treacherous rocks below. Behind you stands one of the largest temples in the ancient world. Each of the columns measure 6 metres tall and 1 metre thick. 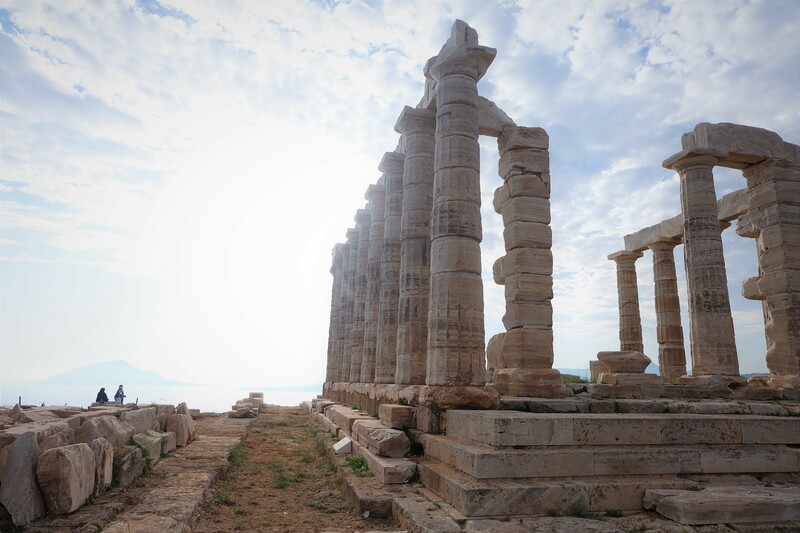 Inside this enormous temple, stands a 6 metre-tall bronze statue of the God of the Seas, Poseidon. 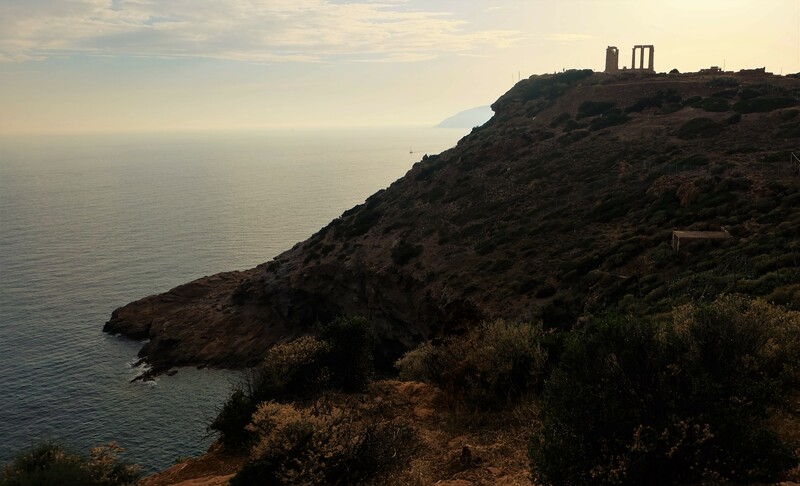 This would have been your view at the Temple of Poseidon on the cliffs of Cape Sounion, if you travelled back to 444 BC when it was first built. 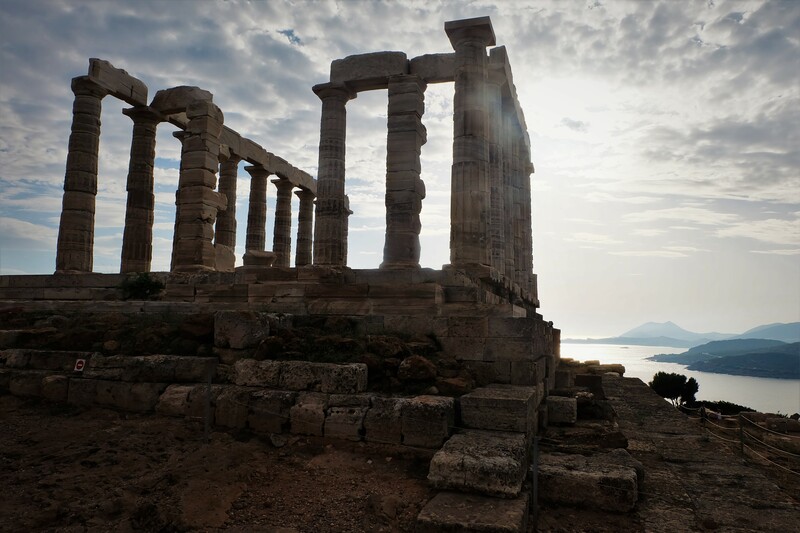 The earliest account of Sounion was found in Homer’s Odyssey, which placed Sounion as the spot where King Menelaus of Sparta died while returning from Troy. 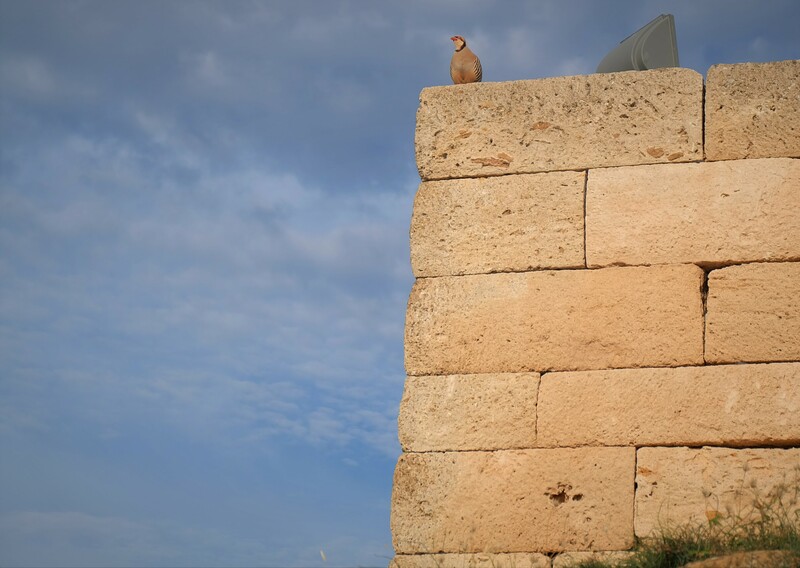 Homer’s life is shrouded in uncertainty, he could have lived between 12th or 8th century BC. 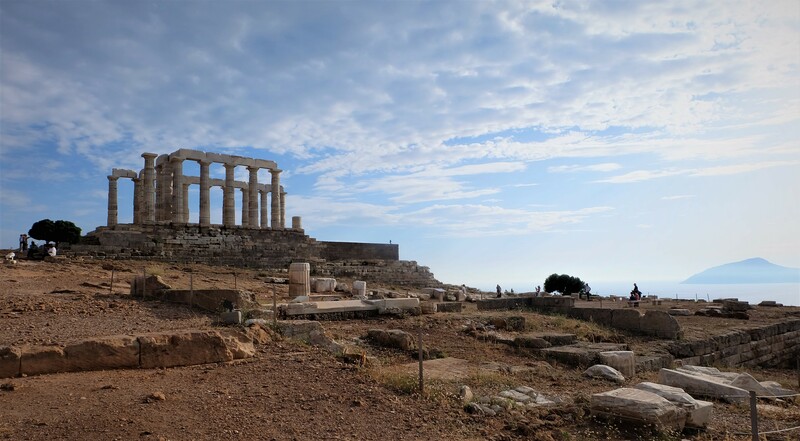 The more ‘recent’ account of Sounion was mentioned by Herodotus who wrote around 400 BC, and he mentioned Sounion as the site where ancient Athenians celebrated a boat festival there in around 6th century BC. 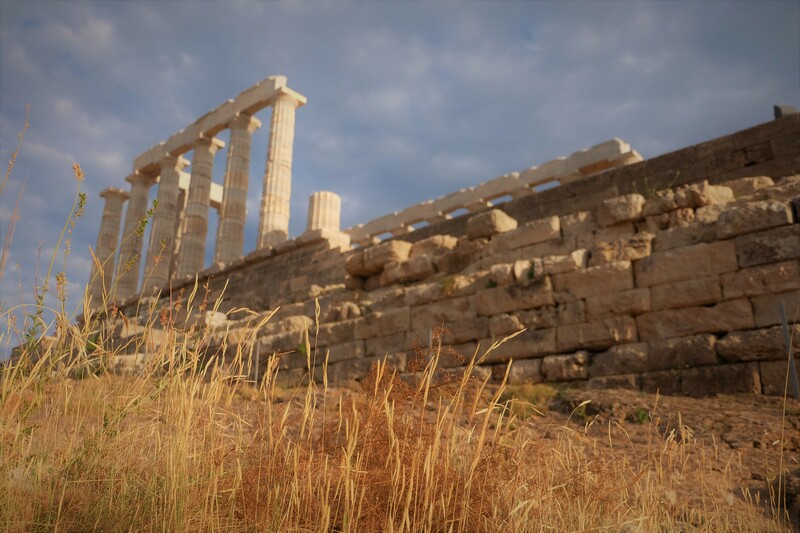 Archaeological finds date Sounion to around 700 BC. 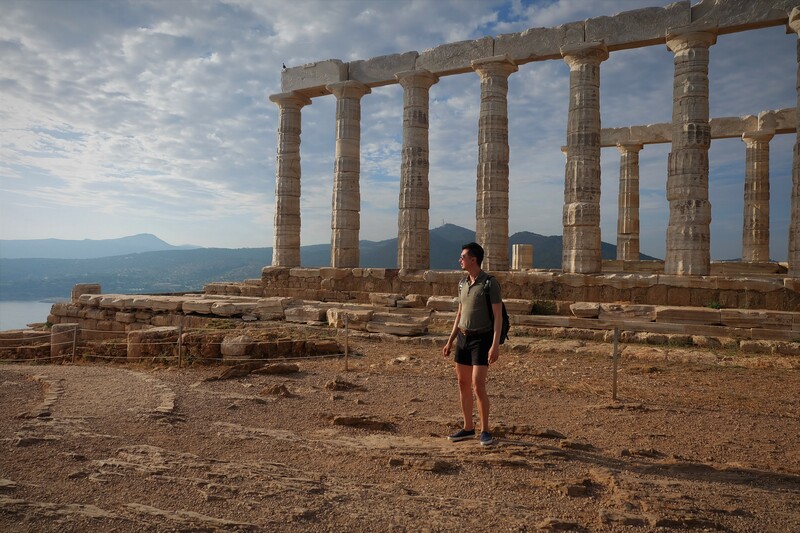 Two major finds concretely dates Sounion back to the Archaic period – the beautiful naked male statue called the Sounion Kouros dates from 600 BC and the self-crowing athlete “Autostephanoumenos” is a bas-relief from around 460 BC. 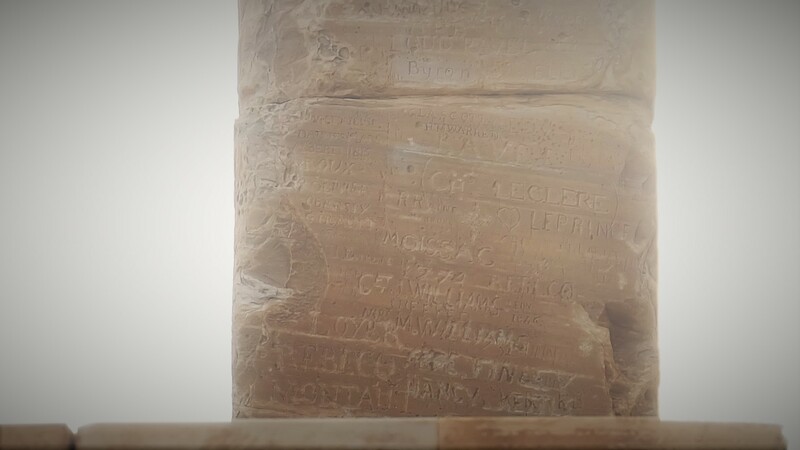 It is most likely there was already a Temple of Poseidon on the site from the Archaic period but it was destroyed by the Persians when they sieged Athens in 480 BC during Xerxes I’s invasion of Greece. This current temple dates from 440-400 BC. 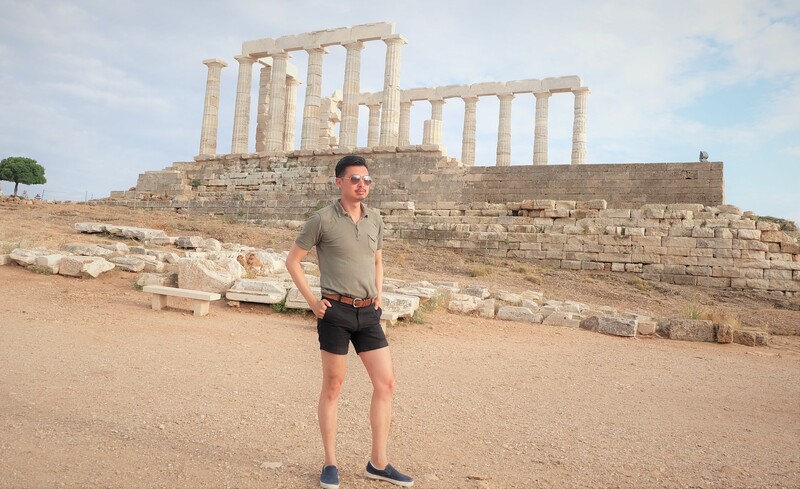 If you had visited the Parthenon on the Acropolis in Athens and marvelled at the view, you would appreciate the same view here but over the sea. Thousands flock here each day to watch the sunset, and believe me, it is a wonderful feeling. 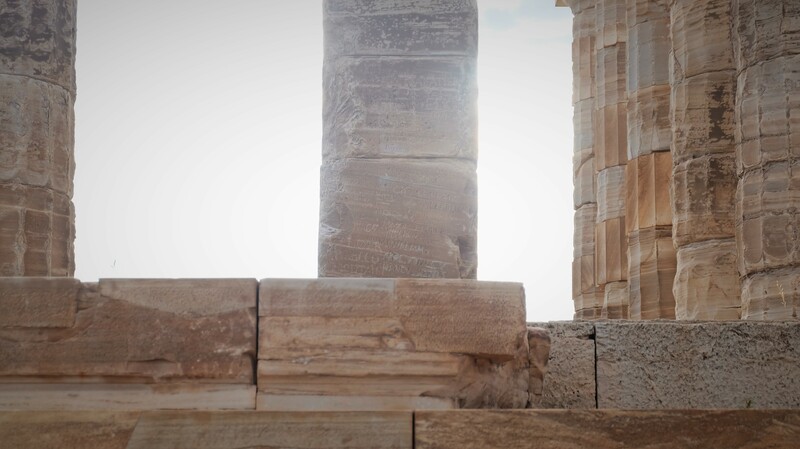 You feel the history, the drama, the beauty of ancient Greek civilisation. You will truly understand why this was a great civilisation, in terms of engineering, art, sciences and culture. It was not a utopia for sure, but their understanding of themselves as humans are far more insightful than many of us living in this modern age. 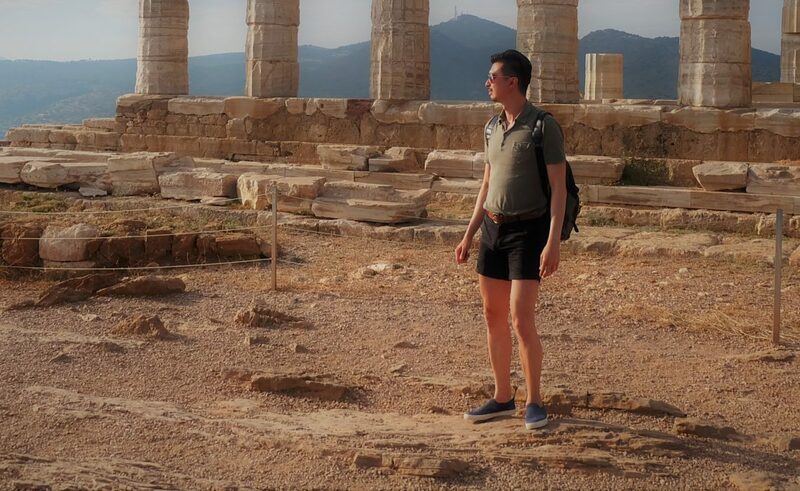 Before you go, explore Athens with me or check out some places in the Peloponnese like Mycenae, Epidaurus or Olympia.